Viral denim trends tend to be clickbait to the extreme—denim underwear, jeans with plastic panels, mud-stained washes and skinnys with most of the leg missing. However there are no gimmicks to the latest denim trend that is gaining traction via social; this style is just getting attention for being really good. 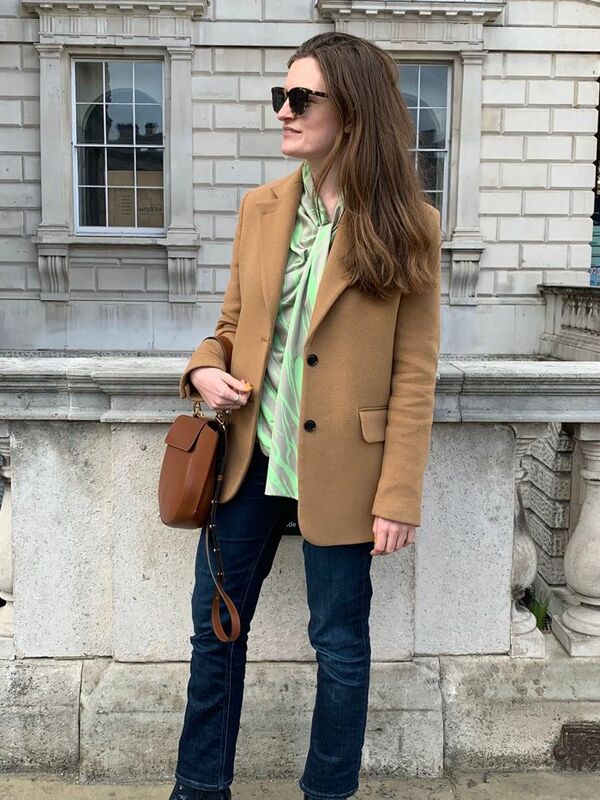 Arguably the most widespread trend of 2019 so far is beige outfits—Man Repeller in New York has called this dressing like a stick of butter, but fashion writers here alternate between using a tray of biscuits or a cup of tea analogy. This dominant colour palette has of course made its way into denim, with ecru and off-white jeans being a little softer than bright white jeans. Whether you opt for an ecru, off-white or darker wash, there are two dominant silhouettes that look best in this colour. The more fashion cut is a cropped wide-leg jeans, while if you want something a little more classic, it's probably best to opt for a pair of straight-leg ankle-grazing jeans. We keep seeing cropped wide-leg jeans with a super-high-waist in all colours of beige, from a subtle off white to a darker biscuit shade. This £38 ASOS pair is already selling like Hamilton tickets. For a more classic cut, you can't go wrong with a pair of straight-leg, high-waisted ecru jeans. We love American Vintage's £115 pair, but you also can't go wrong with the styles from Arket and Weekday.